This product was added to our database on Monday 7 March 2016. 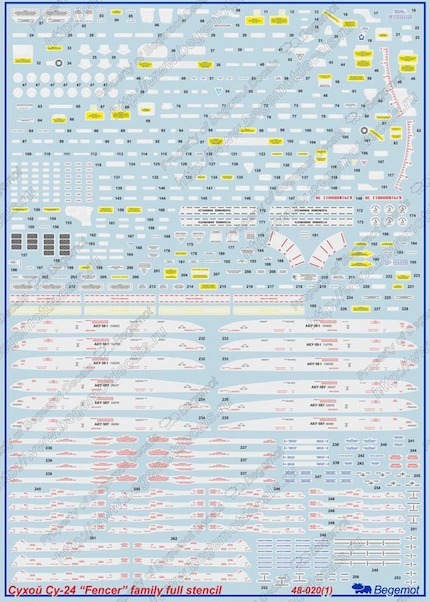 Full stencil set for one Su-24 from late productional batches aircraft or one Su-24M or one Su-24MR aircraft and stencil for all possible external armament (Air-to-Air, Air-to-Ground missiles, FFAR missiles and pods, guilded and unguilded bombs) for all Su-24 family aircrafts. Including four big size decal sheets and six-pages big size instruction.